Venezuelan conductor Gustavo Dudamel has confirmed that his US tour with Venezuela’s National Youth Orchestra has been canceled. The star conductor said the cancelation, which came just days after President Nicolás Maduro publicly criticized him, was “heartbreaking”. In May, Gustavo Dudamel spoke out against President Maduro’s government. Gustavo Dudamel, 36, is the music director of both the Los Angeles Philharmonic and the Simón Bolívar Symphony Orchestra of Venezuela. He gained further fame by becoming the youngest musician to conduct the Vienna Philharmonic’s annual New Year’s concert in 2017. 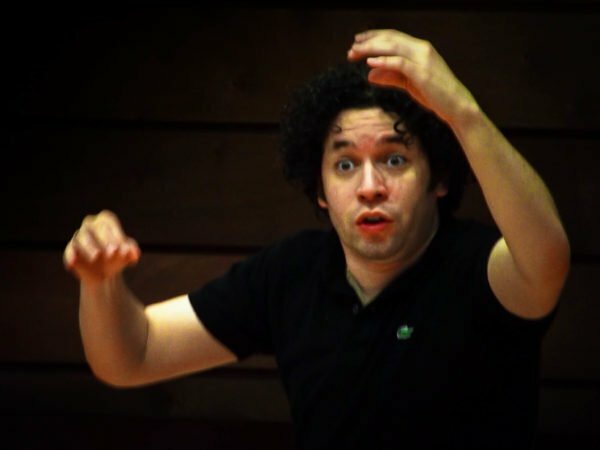 Gustavo Dudamel had stayed silent on the politics of his homeland until the beginning of May, when after a month of anti-government protests, he called on the government “to listen to the people”. As the political crisis in Venezuela worsened, Gustavo Dudamel spoke out again in July, this time in opinion pieces published in the New York Times and Spanish daily El País criticizing the constituent assembly the president had convened. The president referred to the young musicians which form part of Venezuela’s praised musical education program, El Sistema. Nicolas Maduro also had a dig at the conductor for living abroad: “I don’t live abroad, true. None of us lives abroad, in Madrid or in Los Angeles. On August 21, three days after that public criticism, Venezuelan media reported that the US tour of Venezuela’s National Youth Orchestra under the baton of Gustavo Dudamel had been canceled by the president’s office. No reason for the cancelation of the tour has been given so far. Some Venezuelan media speculated that the tour was canceled “in revenge” for Gustavo Dudamel speaking out against the government but others pointed out the high cost of transporting the young musicians to the US at a time when the Venezuelan government is running low on foreign currency reserves. President Maduro is also an outspoken critic of “the imperialist US”, which he blames for many of Venezuela’s problems. Tensions between Venezuela and the US have risen further this month after President Trump said he did not rule out a military option in dealing with Venezuela’s crisis. One hundred and eighty young musicians had been rehearsing for three months for the four-city US tour scheduled for September.